The discovery of small pieces of plastic has prompted J & G Foods, Inc. of Sutton, Massachusetts to recall approximately 34,000 pounds of ground beef. According to the U.S. Department of Agriculture’s Food Safety and Inspection Service, the contaminated products were produced on Dec. 23, 2014 and include 1-lb. packages of “Wegman’s Organic 93% Lean/7% Fat Grass-Fed Ground Beef” as well as multi-pack packages containing three 1-lb packages with the same label. The contaminated products contain what consumers describe as small, translucent and flexible plastic strips and were sold between Dec. 27 and Jan.13, 2015. Not sure if you purchased one of the affected packages? Look for “EST. 8466” inside the USDA mark of inspection and a use or freeze-by date of Jan. 16, 2015. The recalled products were sold in retail locations in Massachusetts, Maryland, New Jersey, New York, Pennsylvania, and Virginia. While there have been no reports of injury, illness or adverse reactions due to the consumption of the tainted beef products, the Wegmans’ website says the product may be returned for a full refund. Publix Super Markets issued a recall of ready-to-cook chicken and beef fajitas and pork chorizo burgers because they may contain undeclared peanuts. According to Publix, the affected products were sold in stores across Alabama, Florida, Georgia, North Carolina, South Carolina, and Tennessee, and were packaged in foam trays with plastic over-wrap. Recalled products include all sell-by dates through Jan. 14, 2015. A very serious class 1 recall was issued by the USDA for more than 48k pounds of frozen ready-to-eat sukiyaki beef and gingered pork by Unibright Foods Inc. after pieces of stainless steel wire were spotted by consumers. 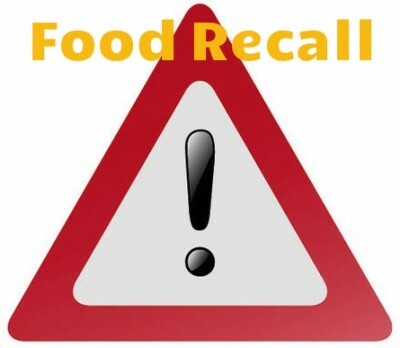 The recalled products were produced between Aug. 12 and Dec. 16, 2014 and include 2.2-pound packages of “Mishima Sukiyaki Beef” (EST.1163 inside the USDA mark of inspection and package ID #15069) and 1.7-pound packages of “Mishima Gingered Pork” (EST.1163 and package ID #15059). Contaminated products were sold in Arizona, California, Colorado, Hawaii, Illinois, New Jersey and New York. As our customers know, Passanante’s Home Food Service prides itself on delivering the highest quality organic veggies and meats and offer a 100% product guarantee. We have a USDA inspector on site, ensuring top quality and cleanliness, and are proud to report that in our century-long history, we have NEVER issued a food recall. Interested in tasting the difference? Click here to request a Free Gourmet Food Sample. This entry was posted in Food Safety and tagged food and grocery delivery service, J & G Foods recall, Pubix recall, Unibright Foods Recall, Wegmans recall by Passanante's Home Food Service. Bookmark the permalink.